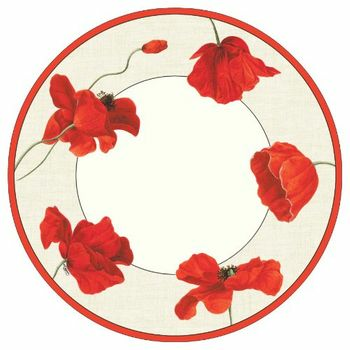 Dancing Poppies 10" Floral Paper Dinner Plate 8ct. Dancing Poppies 7" Floral Paper Salad/ Dessert Plate 8 ct. 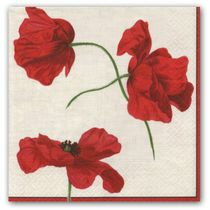 Dancing Poppies Floral Luncheon Napkins 20ct. Dancing Poppies Floral Beverage Napkins 20ct. Dancing Poppies Floral Guest Towels 16ct.